Queensland operators are no longer in a state of ‘limbo’ after an announcement the State Government will return to a negotiated contract model. 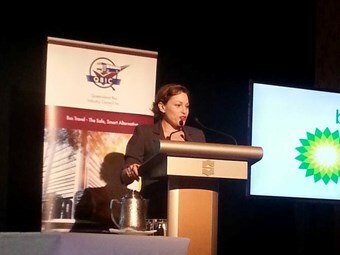 Deputy Premier and Minister for Transport Jackie Trad made the announcement at the Queensland Bus Industry Council (QBIC) Conference 2015 this month. Trad was the opening speaker and assured delegates the State Government will follow through on pre-election promises including a return to the negotiated contract model. The former State Government had previously indicated contracts would go to an open tender model which was a cause of concern for some local operators, effectively leaving operators in ‘limbo’ for some time. Trad announced the extension of current contracts until September 2016 to give industry and government time to discuss the contract negotiation process. "Public transport has long been a passion of mine and that’s a passion we all share," she says. "It is absolutely necessary we get these contracts right and ensure we all agree." QBIC executive director David Tape welcomed the announcement as the association has been struggling to receive clear communication from government for some time. "For three years we’ve been in limbo," he says. "Now it’s time to get on with the job and provide excellent passenger services in Queensland." The event was held at the Shangri-La, Cairns, and about 150 delegates attended the conference sessions.